(MB12) MYANMAR/BIRMA STEMPEL ABDECKUNG. FRANKIERTE RANGUN-BRIEF AN DIE USA. Unten finden Sie eine automatische Übersetzung ins Deutsche. Bedingung: Jeder Stempel Sets wurden einzelne Ly-scan ; was Sie sehen, war es, Sie erhalten, th erefore, schauen Sie sich die Scans. 1957, 5 P Freiheitsglocke u. 1 K 25 P Kloster Sangharama a. Kab.-Lupo-Bf m. selt. K2 "RANGOON SORTING" n. London. Otherwise for both sides arise avoidable overhead and unnecessary costs. Especially from Great Britain, Germany, Austria, Switzerland and Thematics but also from many overseas countries. 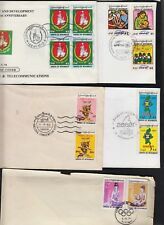 (MB22) MYANMAR/BIRMA STEMPEL ABDECKUNG. KYWEBWE FRANKIERT BRIEF 15.05.1948 NACH INDIEN. Bedingung: Jeder Stempel Sets wurden einzelne Ly-scan ; was Sie sehen, war es, Sie erhalten, th erefore, schauen Sie sich die Scans. Light red London arrival cds. If it is an error on my part (don't like making mistakes but I do), I will admit to this and again do my best to work it out with you. I do combine fees to lower them as much as possible. For sale as scan. · Major faults such as creases, thins, pinholes and tears that are not noticeable from the scan are always declared. nd Class Recorded £1.80. 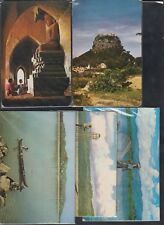 Birmanie-commercial couverture en Angleterre - 5x SG259, SG256, 2x SG257. Any problems WILL be an honest mistake and I will be happy to resolve it! 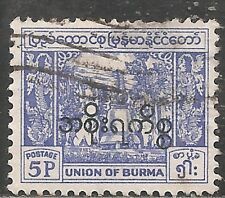 Q616 Burma 1974 U. P.U.5v. 25,10,5,1 KYAT ARE AUNC. WILL GET DIFFERENT SERIAL #. Sorry- I still operate at age 83 ( now deceased at 87) 2008 Scotts ( Who can afford the 2014s?). WILL GET ERROR ONLY. TOP: NORMAL-BLUE WATER INSIDE CIRCLE. (MB12) MYANMAR/BURMA STAMP COVER. FRANKED RANGOON LETTER TO USA. CONDITION: Each stamp sets were individual ly scan ; what you see, it was you get, th erefore, look at the scans. (MB22) MYANMAR/BURMA STAMP COVER. KYWEBWE FRANKED LETTER 15-5-1948 TO INDIA. CONDITION: Each stamp sets were individual ly scan ; what you see, it was you get, th erefore, look at the scans. (see scan for more details & conditions).